All over Asia and the rest of the world, species of endangered wildlife are being illegally hunted and traded. Some of them are traded as traditional medicine, but for the most part, they are being illegally hunted down to near extinction because they are in demand as exotic food. To the West, it is exotic food because it is beyond the norm of what is normally served at home and in fast food restaurants. But in places like China, Indonesia, and the Philippines, what’s exotic is tasty and potentially medicinal, too. Here is the breakdown of three of the most hunted animals in the world – and they are all served to satiate Asia’s bloody appetite for endangered wildlife. Pangolins are harmless, nocturnal creatures that feed mainly on ants. Also called spiny anteaters, a threatened pangolin will first cover its face with its front paws, before rolling up into a ball. This exposes their sharp scales to the enemy or intruder. Its spiny tail can be used defensively as well. According to a WWF general report, all eight pangolin species found throughout the world are protected by both international and local laws, and they are now listed as vulnerable to critical endangered by the IUCN Red List of Threatened Species. In places like South China, the Cantonese appetite for pangolins continues unabated. The meat of the pangolin is considered nutritious, medicinal, and is also believed to “keep out the cold-“ a general reference to how some foods warm the body, while others cool it down. 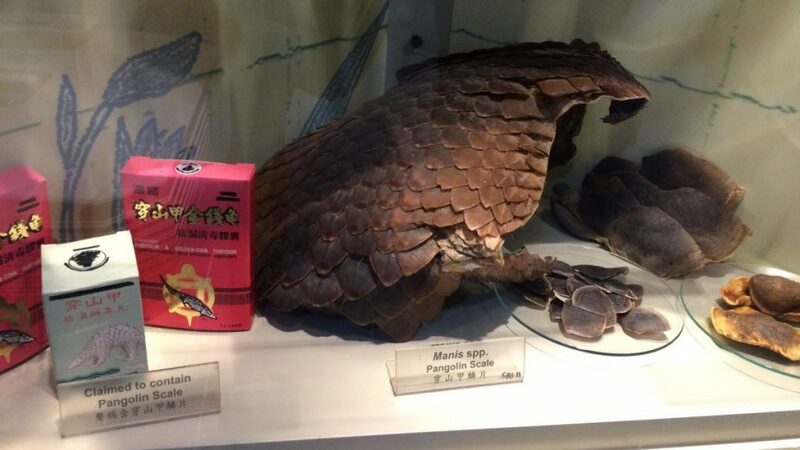 The belief in traditional medicine and the medicinal value of some special food items continue to make the illegal pangolin trade acceptable and palatable to local Cantonese consumers. While the Chinese government is making some effort in banning the illegal trade of exotic wildlife, people still believe that consuming special food like pangolin meat is not only good for the body, but is also a way to flash cash and show social status. In fact, you have to introduce yourself to the many restaurants that actually serve pangolin meat in South China – you have to be somebody to gain access to dishes made from this special meat. Pangolin meat is also cooked elsewhere – never in the actual restaurants. Restaurant owners usually rent smaller kitchens a while away from their restaurants where the pangolins are actually slaughtered, cleaned and cooked. It is estimated that more than one million pangolins have already been captured and killed since 2000, making the pangolin one of the most widely hunted species for food, ever. With the dwindling numbers in Asia, poachers have now shifted their efforts to Africa, where other pangolin species still exist. Nonprofit organizations like Save Pangolins are working with international wildlife conservation organizations like Pangolin Research Mundulea, Conservation International-Cambodia, Zoological Society of London, and Wildlife Conservation Society Wildlife Crimes Unit to help save these nocturnal creatures from complete extinction. In Singapore, initiatives like the National Conservation Strategy and Action Plan aim to save species like the pangolin by rescuing, hand-raising, and releasing healthy pangolins back in the wild. The NCSAP, particularly, is championing in-situ conservation efforts. The Singapore Pangolin Working Group will be will be implementing the action plan. The Singapore Pangolin Working Group is comprised of government agencies and other institutions that have a stake in conservation efforts of vulnerable and critically endangered species. 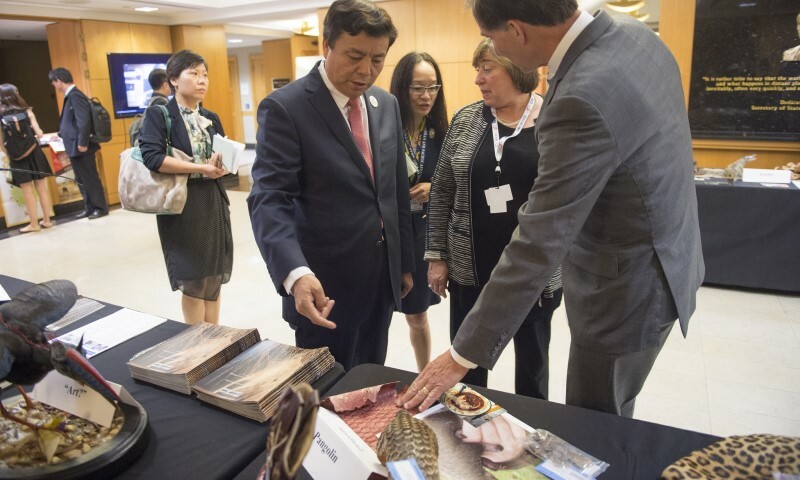 The 182 nations comprising the Convention on the International Trade in Endangered Species have also unanimously agreed on a complete ban on all illegally-traded species. The total ban is expected to put a dent in the $20 billion per year illegal wildlife trade affecting not just Asia and Africa, but also parts of Europe. Pop culture paints sharks are big, bad meanies out to get innocent surfers who just want to catch some gnarly waves. But in reality, man is slaughtering innocent sharks by the thousands daily, and all because of their fins. While it is true that the Chinese appetite for shark’s fin soup used to be alarmingly high, things have been changing for the better in this massive country in East Asia. Since the last decade, the demand for shark’s fin soup in the Mainland has surprisingly and enlighteningly dropped by a staggering 80%. Two things helped taper the bloody appetite for shark’s fin soup: government action through crackdowns and public awareness campaigns boosted by well-known celebrities in China. Shark’s fin soup is one of the bloodiest dishes to prepare, because once a shark’s fin is removed, it will no longer be able to swim, and it is left effectively to drown. It has been estimated that 26 to 73 million sharks from different species are caught each year, including the ones that are caught for other purposes (not their fins). 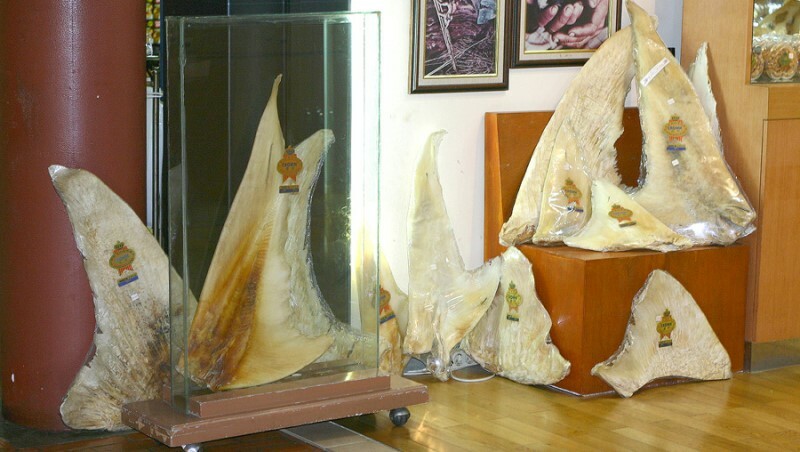 Fin trade data reveals that 2.29 tons of shark’s fins have found their way to restaurant tables in the last decade alone. Hong Kong and China have been the two biggest importers of shark’s fin, with Mexico, Taiwan, USA, Indonesia, India, Argentina and Spain bringing the rear. While other countries have lower demand, the actual import sizes still reach a minimum of 29 tons – or the equivalent of 29 average-sized cars, only the weight is pure shark’s fins. Conservation efforts for shark species are working at the grassroots level, beginning their campaigns at the level of the fishing communities in different parts of Asia. In the Aceh Province in Indonesia, the Wildlife Conservation Society (WCS) is working with the local government and the traditional fisheries institution Panglima Laot to improve the protection of discovered habitats. Currently, WCS has identified a critical habitat for hammerhead sharks and the wedge fish. The WCS is also monitoring rare sharks and local shark trades across South East Asia by visiting local fish markets. Aided by ‘shark sleuths’ like David Ebert from the Pacific Shark Research Center at Moss Landing Marine Laboratories, scientists on land have more capabilities to track and monitor newer shark species that are turning up in fishermen’s nets. According to the WCS, collaborating with local fishing villages is essential for wildlife conservation work, especially in places like Indonesia which is one of the world’s largest shark fisheries. According to the WWF, marine turtles used to roam the oceans by the millions – but today, marine turtles from nearly all the major species are critically endangered or are already endangered and heading towards extinction. In addition to consuming plastic from the oceans and getting caught in mechanized trawls, the number one cause of dwindling marine turtle populations is illegal hunting – for food. Marine turtle meat and eggs are delicacies and are highly sought after in many countries in Asia, including the Philippines, Indonesia, China, Japan, Vietnam, and so on. Turtle eggs are regularly poached from beaches, some even torn out of the bodies of female turtles by poachers who are too impatient to wait for them to hatch. The race continues to save these gentle marine animals from utter extinction, and it would be up to local government units and the international community to put a stop to the illegal marine turtle trade that continues unabated, up to this day. Current conservation efforts involve both country-level and international efforts. In Maitum, Sarangani Province in the Philippines, locals have been helping marine turtles find refuge in the beaches facing the Celebes Sea. Four marine turtle species frequent these beaches: green, olive ridley, hawksbill and loggerhead. Turtle eggs are being taken care of by residents, making an eventual, healthy release of baby marine turtles extremely tenable. Other villages surrounding Maasin and Maitum are also handing over turtle eggs for safekeeping and tending. The World Wildlife Fun Marine Turtle Programme is currently helping save these beautiful species by helping link together local conservation groups and programs, partnering with non-traditional allies in the fight against the illegal turtle meat trade, and collaborating at all levels with local communities, governments, researchers, and NGOs.